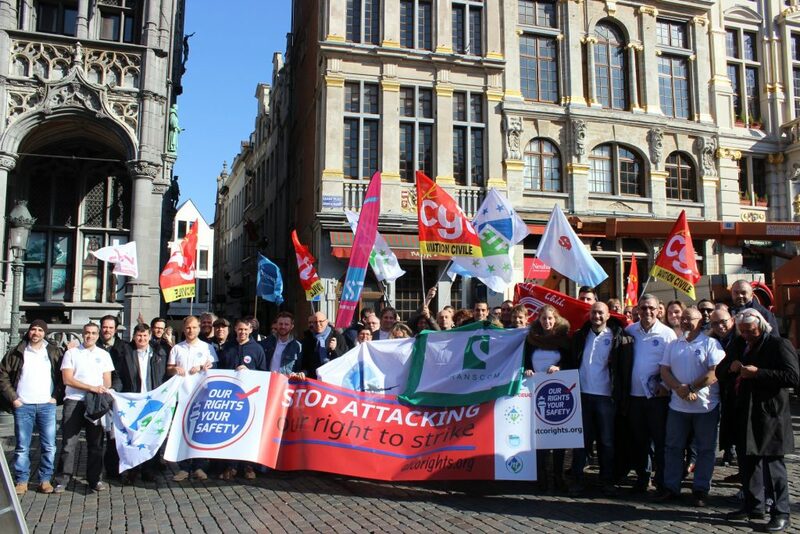 Trade union representatives from all over Europe gathered in Brussels to endorse the campaign Our Rights, Your Safety. This campaign takes a stand against the plans of the European Commission to introduce a minimal service. The argument goes that if air traffic controllers in one country lay down their work, colleagues from neighboring countries should take over the coordination. This plan affects the national sovereignty of the Member States, goes against the EU Treaties and violates the fundamental rights of workers in European air traffic management. It would also entail safety problems for passengers. The only way to defend our fundamental rights is to put lasting pressure on Europe. Mutual solidarity between unions is vital to our success.